Grain Free Meaty Cat Food! We had a new dry cat food introduced to our stores a couple of months back. Being a grain free cat food, which is uncommon in itself, I held off on writing a piece about it until I’d experienced some customer feedback in my store. Canagan Cat has become extremely popular among my customers who tell me their previously fussy cats are now tucking in. I strongly think this is because it’s got an obscene amount of meat in it and cats are noticing this new formula, which is highly appropriate for cats as great meat eaters. More meat = tasty grub. Simple. Why Do Cats Need Lots of Meat? Cats are carnivores, which means they should be eating meat as the vast majority of their diet. It’s not an optional extra, it’s a vital ingredient they need to survive – and the more the merrier, as they say. The reason for the high meat content is protein – cats need a lot of protein because the enzymes in the liver go mad breaking down protein like there’s no tomorrow, and if there isn’t enough protein in the diet, the enzymes go mad breaking down the protein in the muscles instead. Many cat foods used cereals to bulk out the feed (and I expect it probably makes it cheaper to produce, too). Unfortunately, cats aren’t partial to lots of cereals and wonder why we expect them to eat it. If someone presented me with a plate of cardboard I’d wonder if they were feeling alright. Cats often turn their whiskers up at high cereal feeds and I think it’s because they have the same reaction – “and you expect me to eat this?”. 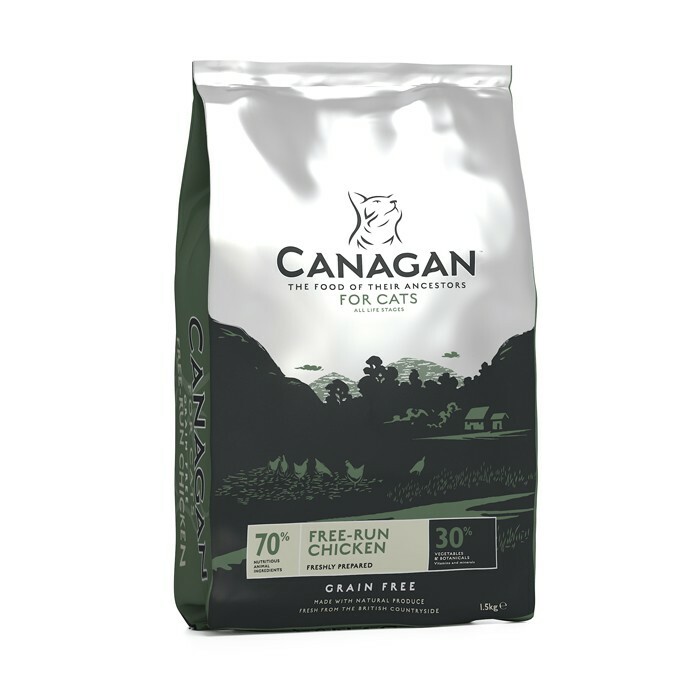 Low cereal feeds that list a type of meat as their first ingredient are great for cats, and Canagan Cat takes it one step further by increasing the meat content even more and removing the cereal altogether. Which makes it rather tasty without the cardboard. Stick to low cereal/high meat feeds, or Canagan Cat. Pop into one of our stores for a chat if you want to… we’re always here and happy to advise on the good stuff. Most owners are owned by their cats at mealtimes… not anymore!